World's costliest number plate, which costs $19 million. We save money years an years to buy a car. but nowadays rich people purchasing fancy number plates for their cars. but now in London a man paid $19 million (132 crore) for fancy number plate. F1 vehicle number has recorded at $19 million( 132 crore). F1 number has auctioned many times. in 2008 this number auctioned for $9.9 lakh and now sold for $19 million. F1 number has used in many Expensive cars like Bugatti, McLaren, Mercedes. 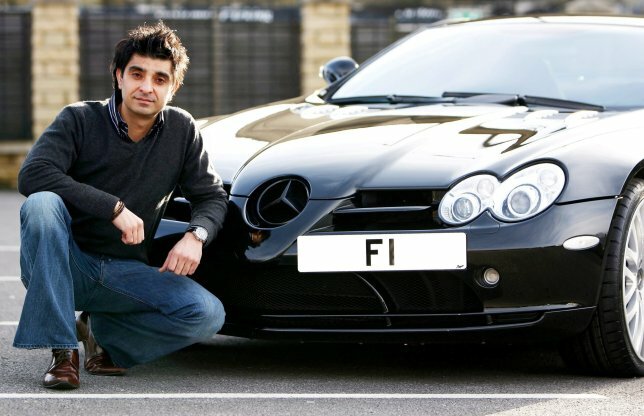 Dubai based businessman Balwinder Sahani bought D5 fancy number number plate at cost $9.5 million.